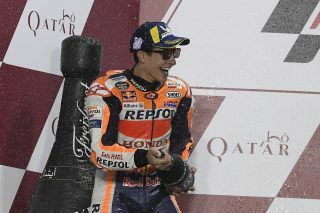 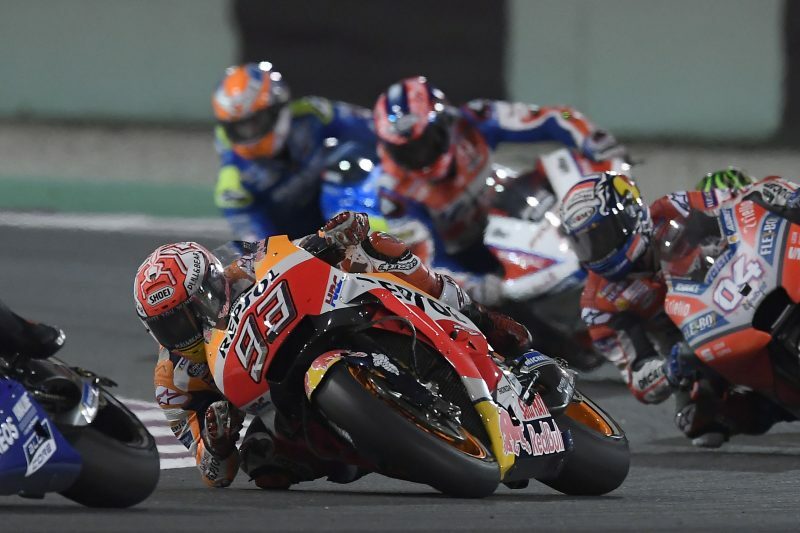 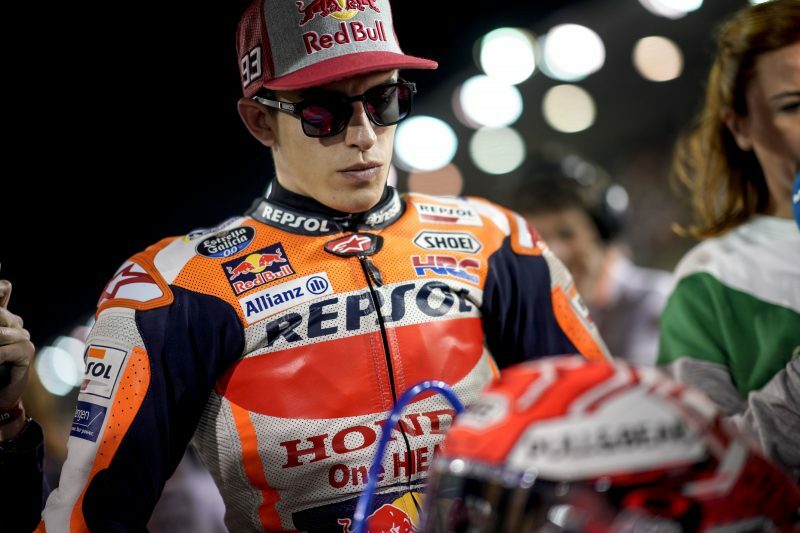 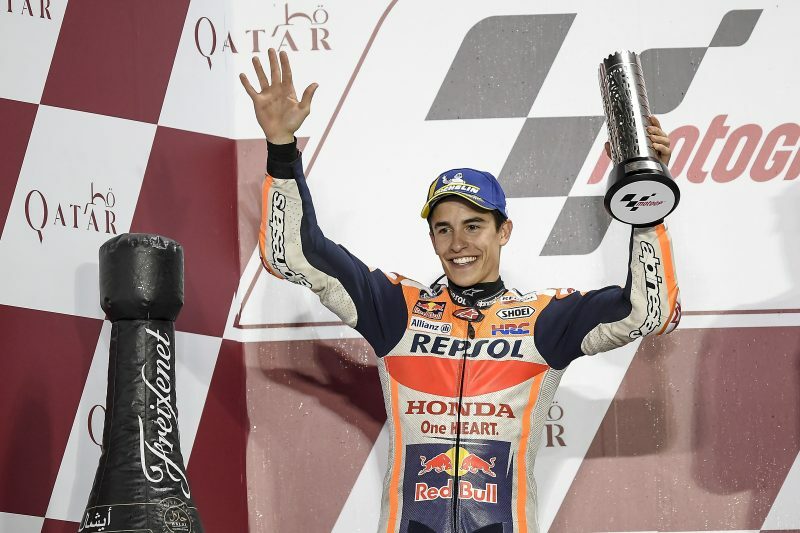 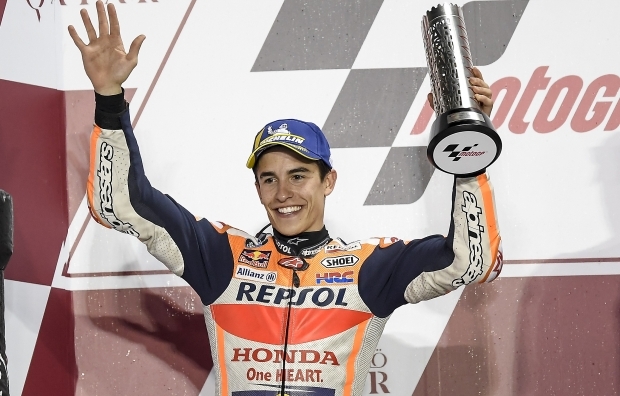 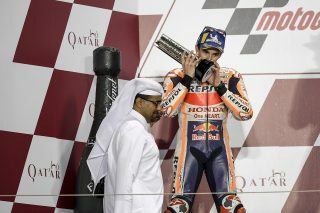 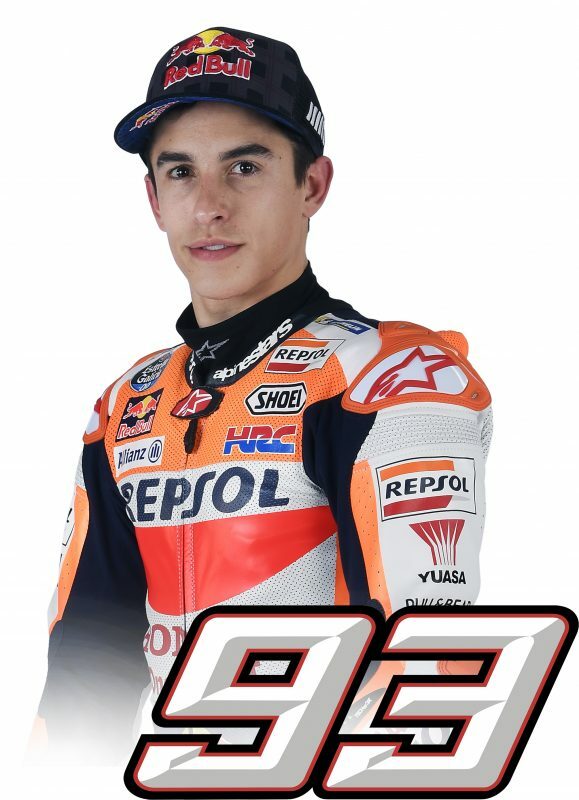 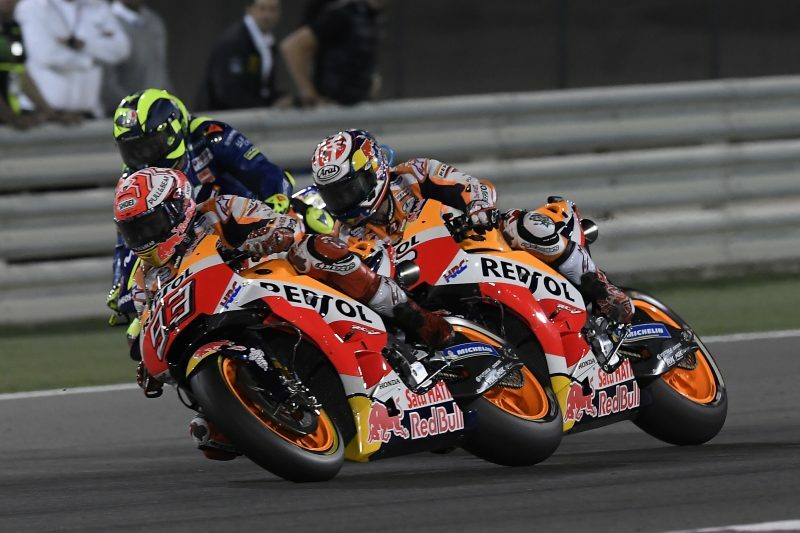 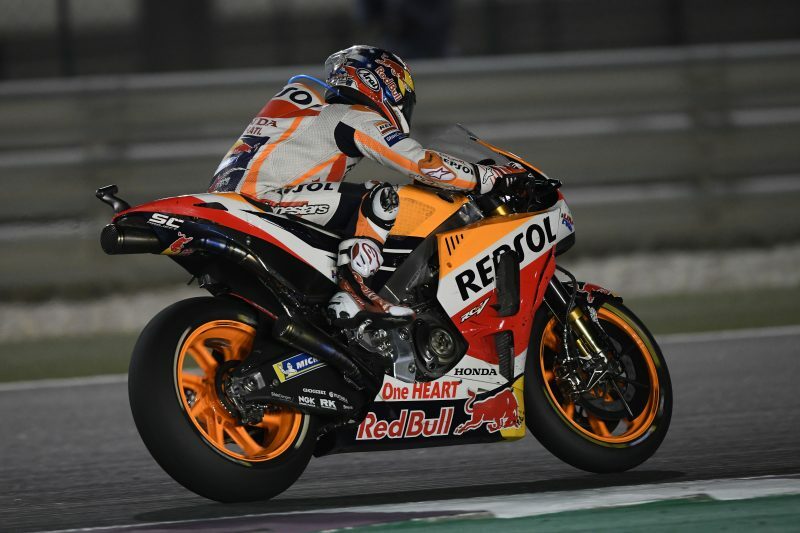 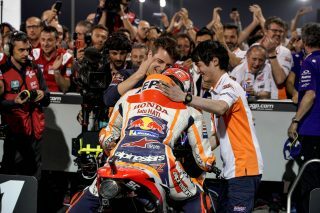 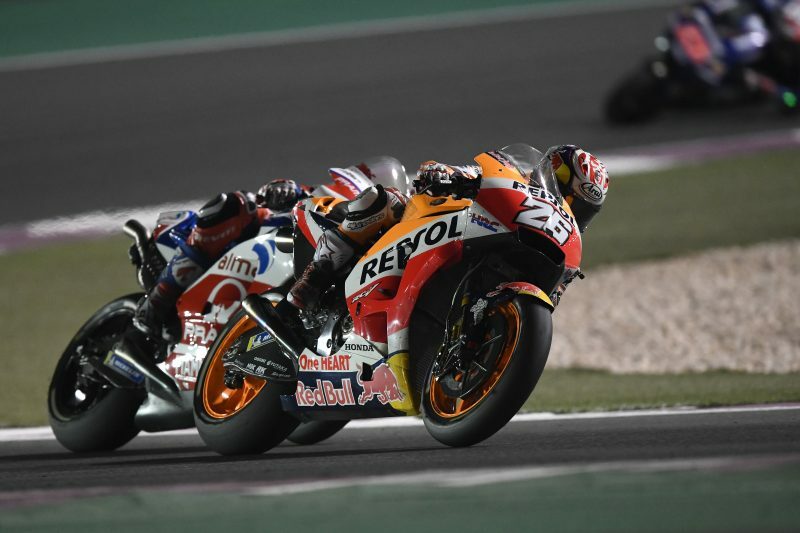 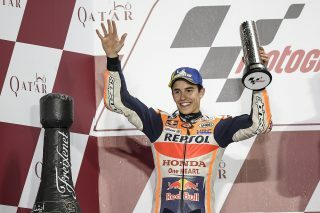 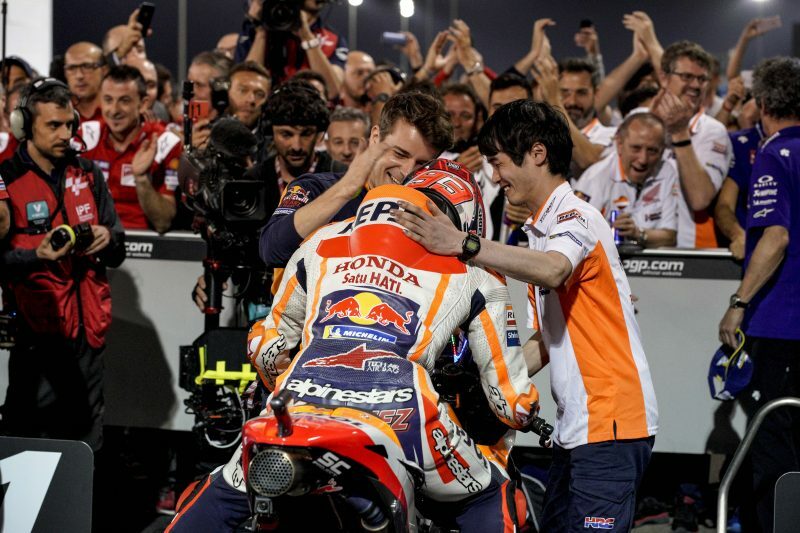 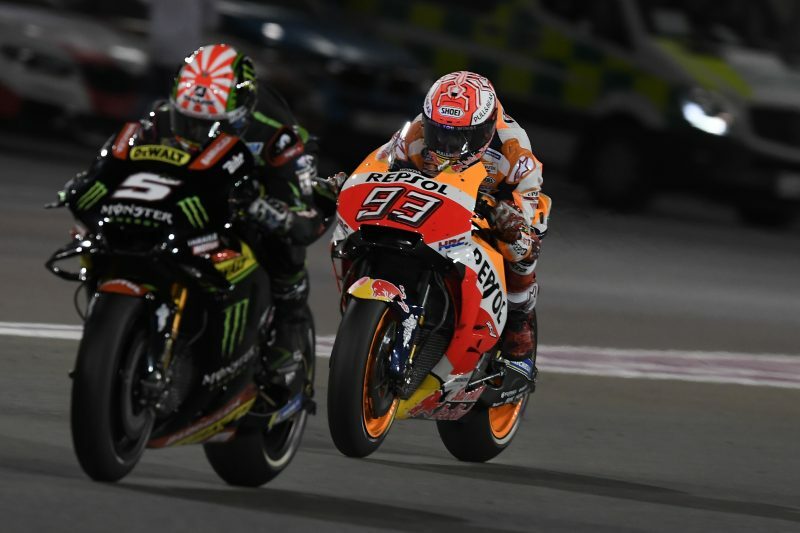 As night fell in Qatar, Marc Marquez climbed to the second step of the podium at the Losail International Circuit after fighting for victory all the way until the last corner. 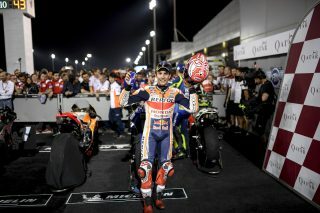 Andrea Dovizioso just edged Marc out at the chequered flag by a mere 0.027” but the reigning World Champion will fly back to Europe tomorrow knowing that he’s shown great pace and scored a brilliant result at a track that is notoriously tough for him and the Repsol Honda Team. 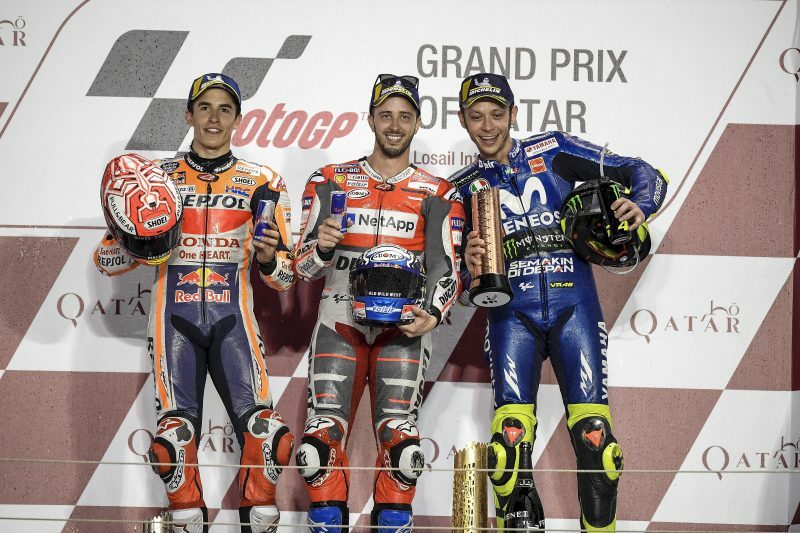 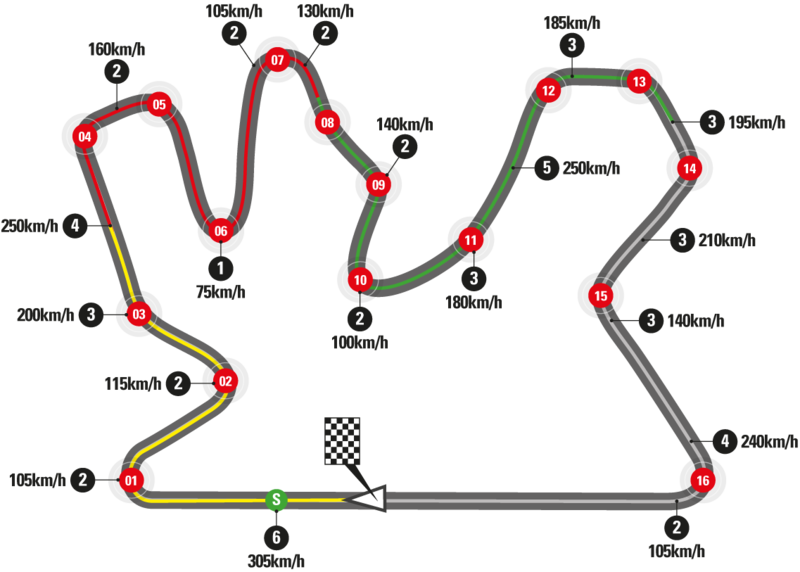 A group of seven riders, split by just over one second, fought for a podium position for almost the entire race. 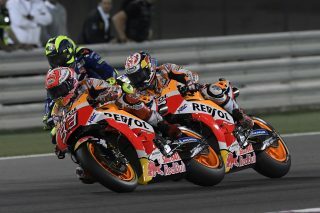 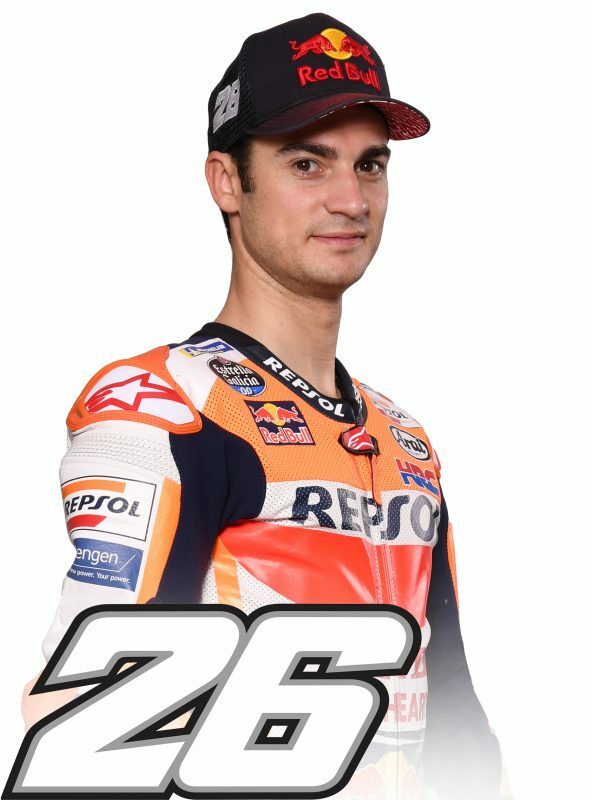 Dani Pedrosa was among that group, although a poor feeling with the rear tyre forced him to settle for seventh.